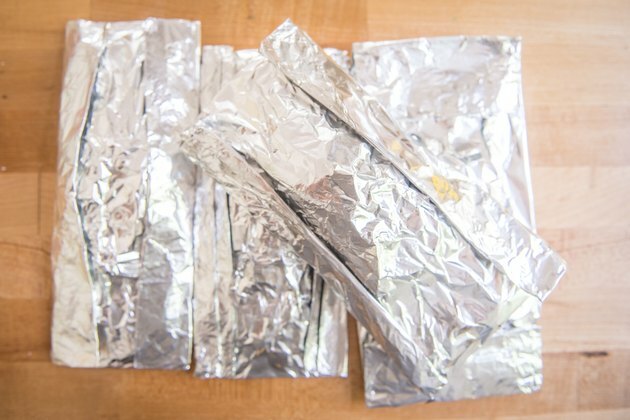 I'm about to change your life with these foil packet dinners! We're too busy most days for full-blown meals, but this changes everything. 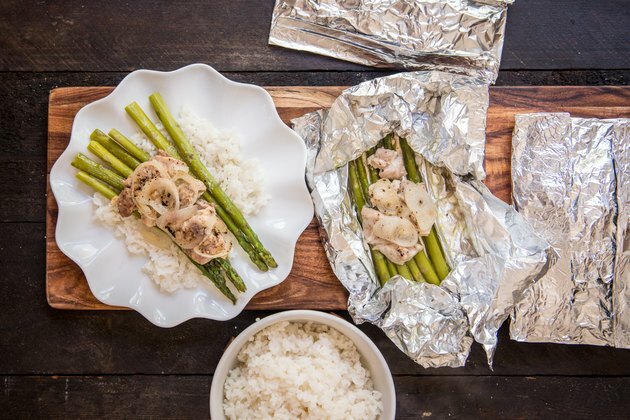 You don't need those expensive meal kits, or cheap frozen food — you just need foil packets! Just a few minutes to prep and you've got a week's worth of meals. It's a game changer. 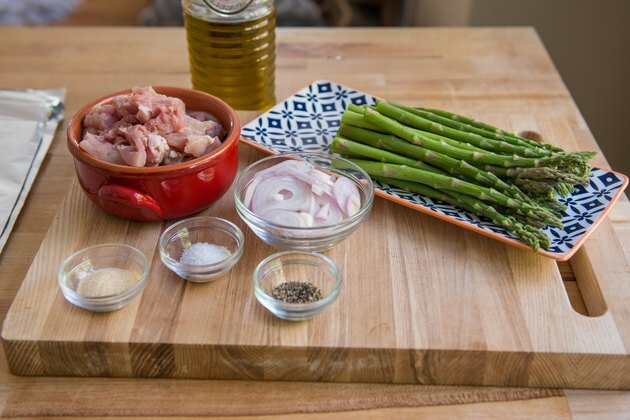 Just 5 minutes on a Sunday afternoon and your meals for the week are sorted. Make it your own! Add your own blend of spices, or throw in some sun-dried tomatoes, cherry tomatoes or some red peppers. These can be customized for your own taste. Lay out 4 long sheets of foil (each about 20 inches long). 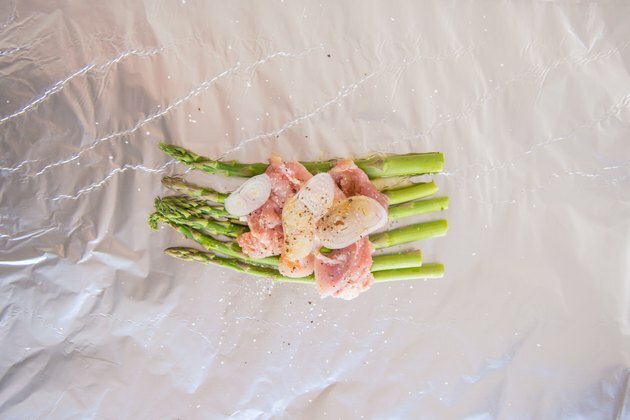 Divide the asparagus between the sheets, placing in the center of each. 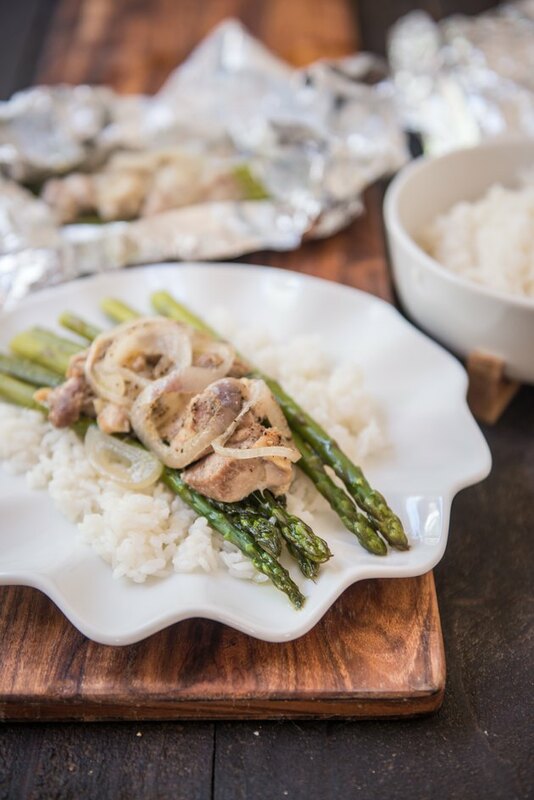 Top with chicken cubes and shallot slices. Drizzle with olive oil. Sprinkle with salt, pepper, onion powder and garlic powder. Wrap the packets, tightly folding around the ingredients. 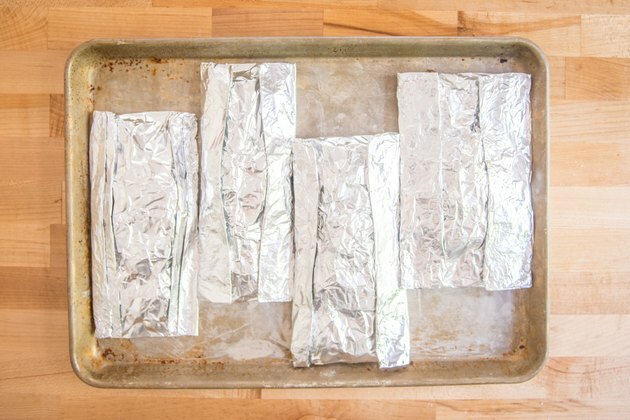 Add more foil if necessary to insure a tightly closed package to keep freezer burn out and the juices in once baked. 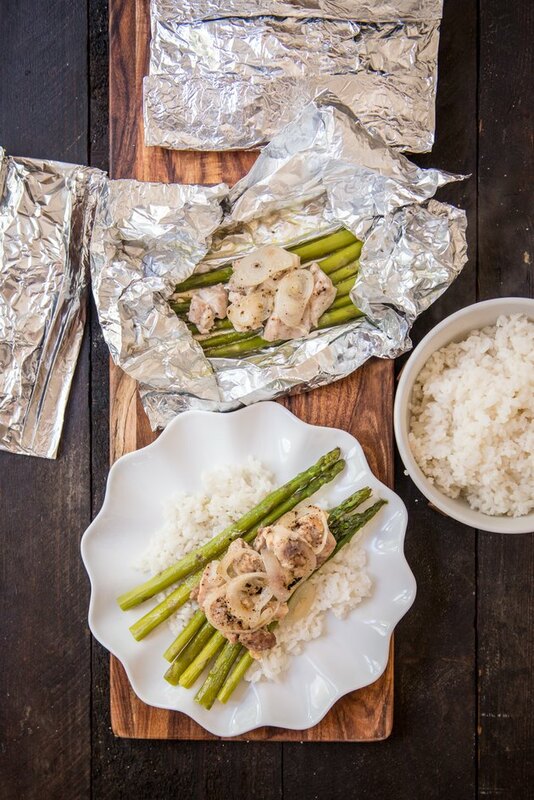 Place packets in a gallon-sized zip-top freezer bag, and lay flat in the freezer. Freeze for up to one month. Add the packets to a baking sheet, and bake for 20 minutes or until the chicken is cooked through. Serve over rice or other cooked grain or pasta, making sure to add the juices to the plate along with the rest of the ingredients. Enjoy!